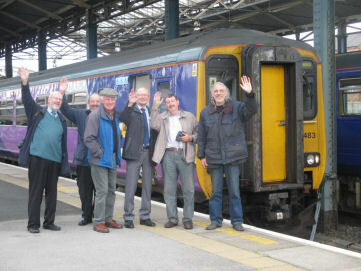 A big thank you to Matthew Worman and the "Arriva Trains North" team for arranging what has become a NCRUG annual event over the Halton Curve. The turnout was not as great as in the past but with progress on the Halton Curve re-instatement proceeding apace maybe some felt their support was not as important as in the past. Nevertheless, we had an excellent journey over the Curve to Liverpool South Parkway. 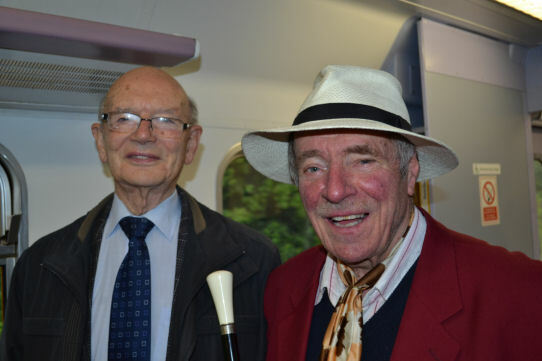 We had a ‘Thomas Brassey’ look-alike, complete with walking stick, on the train to welcome passengers aboard. 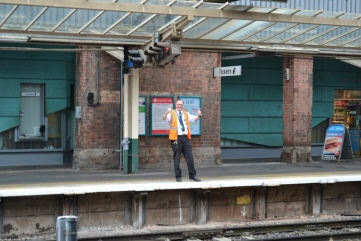 There were good announcements at Chester station; although there was some consternation about the train verbally going to 'Allerton', the staff then announced it manually! 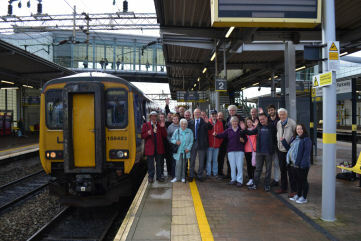 The Customer Information Showed - Liverpool South Parkway ‘via Halton Curve’ which was a ‘first’. 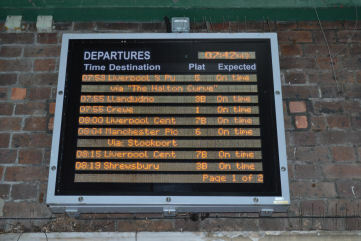 The driver was unaware of the stops to be made at Helsby, Frodsham and Liverpool South Parkway but was alert enough to pickup the information from the station announcement. So all was well.